PrimoMusic Pro 1.3.0 Build 20160627 MacOSX | Free eBooks Download - EBOOKEE! Posted on 2016-07-06, by manhneovn. Just recovered from a system failure, or switched to a new computer, and would like to rebuild your music collection? 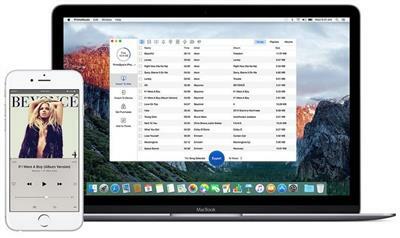 PrimoMusic lets you rescue your music, movies, podcasts and much more, in a way simple and flexible by instantly migrating from iPhone, iPad, or your iPod to your computer. Connect an Apple device to your computer, start PrimoMusic, find and choose the content you'd like to export by song, by playlist or by album, give one more tap and you'll be set free to recovery your lost content, right from your iPhone, iPad and iPod. Requirements: Mac OS X 10.8 or above. No comments for "PrimoMusic Pro 1.3.0 Build 20160627 MacOSX".